Welcome to Ralph School Of Motoring! So you've decided to take the plunge and learn how to drive. 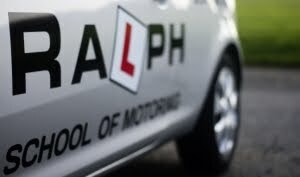 At Ralph School of Motoring I provide driver training in Renfrewshire, the West End and South Side of Glasgow and surrounding areas. Lessons are in a Vauxhall Corsa with me, Mark Ralph, a fully DSA approved, independent driving instructor. There’s no need to be nervous about learning to drive. You will always have my full attention as I appreciate your time is precious, and I will never take a lesson with a Bluetooth headset wedged in my ear! Above all, I will always do my best to make your driving lessons enjoyable as well as productive.